Sustainable Agriculture is commonly associated with farming that has a small Ecological Footprint. Organic Farming, Permaculture, Regenerative Agriculture, or any form of agriculture that aim to fulfill certain criteria. In the world of photography there are many talented artists. Their styles vary tremendously, some you may like and there are others that may not be your "cup of tea" regardless the variations are immense. He spent 8 years exploring 32 countries, to capture indigenous culture and far away landscapes. This appeals to me on both levels, as I am very interested in Anthropology and these picture capture some of the world indigenous tribes, the power of a photograph to capture an image and to document a story. "The Casaroro Falls are located 15km from Dumaguete . They are approximately 8k from the town of Valencia. The last few kilometers of the steep road to the falls are unpaved. The beautiful waterfalls are reached after descending 335 stairs and walking up canyon approximately one half kilometer along a paved footpath. Composting is an easy way to start being sustainable. Around the country and around the world many people compost, unfortunately there are still millions who do not. I was living in Vermont for a few months in 2009. I was very pleased to see that everyone had a compost pile and separated their trash for recycling. It was sacrilegious in Vermont not to have a compost pile in your yard. This is the Degree Program Rationale that I submitted to the Academic Portfolio Review Committee in 2013. I designed my own degree and a course, called Holistic Design. Below are the course I took. Arranging plants in a landscape activates my visual sensory modality, immediately upon arrival of a new site my eyes are assimilating the surroundings and becoming familiar with the land. This assimilation is then translated to an actual drawing to further stimulate the visual sensory modality. 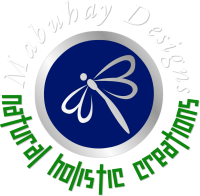 Fusing together my technical experience, with my knowledge of nature and the human mind, to create environments that heal the mind and enrich the natural environment, within the context of the cultural surroundings.